If despite your best efforts, stubborn pockets of fat, especially around your abdomen and thighs, continue to plague you, fat reduction may provide the answer. 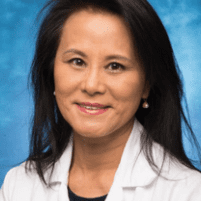 Cynthia Chao, DO, MPH, NCMP offers SculpSure to patients in Long Beach, California, understands the importance of feeling your best by looking your best and offers the latest noninvasive technology to tackle unwanted fat. To learn how you can win the battle of the bulge once and for all, call Dr. Chao or book an appointment online. SculpSure is an FDA-cleared laser treatment designed to reduce fat in areas that are typically hard to tackle through diet and exercise. The laser treatment targets and destroys fat cells without the need for more traditional invasive procedures, such as liposuction, which carry more risk and more downtime. SculpSure is not a weight loss tool, but rather a fat reduction tool that shapes and contours your body. When you’re born, you have a certain number of fat cells in your body, and that number remains constant. When you gain or lose weight, these cells increase or decrease in size, not in quantity. During a SculpSure treatment, Dr. Chao directs laser energy below the surface of your skin, without damaging the surrounding tissue, and heats up and destroys the fat cells underneath. The remains of these cells are processed and eliminated naturally through your body, and new cells don’t regenerate, leaving you with a permanently reduced number of fat cells in your target area. After an initial consultation with Dr. Chao, she recommends a treatment plan based on the areas you want to tackle. Since each treatment area and patient is different, it’s hard to say how many treatments you need, but for maximum results, a series of treatments is best. Each treatment lasts approximately 25 minutes, and you can resume your normal activities afterward. Results are gradual and start after six weeks as your body eliminates old fat cells. This process may take up to three months. SculpSure is a noninvasive procedure, so it carries virtually no risk. During the treatment, you may feel some heat, but most patients find this perfectly tolerable. If you want to get rid of stubborn fat permanently, call Dr. Chao for a consultation or book an appointment online.